Kula Shaker are a psychedelic/britpop band which formed in London, England in 1995, disbanded in 1999 and reformed in 2004. The band's original line-up was Crispian Mills (vocals, guitar), Alonza Bevan (bass, vocals), Jay Darlington (organ, vocals) and Paul Winterhart (drums), When they reformed in 2004, Darlington was replaced by Harry Broadbent. Their sound is roughly based on the sounds of Britpop and psychedelic rock with heavy influences of Indian music throughout. Their sound is roughly based on the sounds of Britpop and psychedelic rock with heavy influences of Indian music throughout. Their first album, K was released in the United Kingdom in 1996 and became the fastest selling debut album since Definitely Maybe by Oasis selling 850,000 copies in the UK and a further 250,000 in the United States, mostly due to the success of the band's single "Tattva" on the Billboard Modern Rock Tracks chart. Their second album released in 1999, Peasants, Pigs and Astronauts, however, did not have the success of the first, selling only a fraction of K, despite a slightly higher marketing budget. Later that year Mills announced the band would be breaking up due to unwanted pressure loaded upon them by their label and the urge to move on. 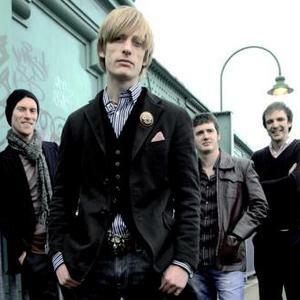 On 11th July 2006 Kula Shaker announced that they would be reforming, and set about creating an iTunes-exclusive E.P. They started by touring smaller venues in the U.K. Their third album, Strange Folk, was released on 20th August 2007, and their fourth, Pilgrim's Progress, was released on 28th June 2010.